It hasn’t always been that way with Anheuser-Busch, (A-B), the parent owner of Shocktop. A-B is long known for selling beer using animated frogs, simply showing people having good times at parties holding drinking their beer and most recently using an absurd stunt featuring a ping-pong playing Arnold Schwarzenegger. It made sense not to bring up the actual beer they were selling because when you got right down to it, it was pretty bland, watery and uninspiring. It’s safe to assume that as craft beer emerged as a force that could no longer be countered by slick ad campaigns, A-B finally realized they needed to do something different. Shock Top has been part of that. It was formed in 2006 as a seasonal brew called Spring Hill Spiced Wheat. It won gold in 2006 and silver in 2007 at the North American Beer Awards. That success convinced A-B to brew it year around and they renamed it Shock Top. Shock Top has gone on to brew various riffs on the tradition Belgian Wheat Beer style, much like Molson Coors’s highly successful Blue Moon brand. As part of this new focus on the beer itself, much of Shock Top’s marketing features Jill Vaughn, Shock Top’s Head Brewmaster. You’ll find her videos talking about her various brewing creations such as Shock Top’s Honey Bourbon Cask Wheat and special release Twisted Pretzel Wheat Of course, A-B has long used women to promote their beer, but as eye candy in a swimsuit, not as company leaders thoughtfully discussing their creative inspirations. For all its good intentions Shock Top can’t totally escape a certain guilt by association with A-B and is viewed with much wariness and at times, outright derision in the craft beer community. A-B earned a reputation of being the “Evil Empire” from their long history of aggressive sales tactics targeting craft breweries. It’s even more galling now the A-B is seemingly trying to beat craft brewers at their own game with the Shock Top brand. 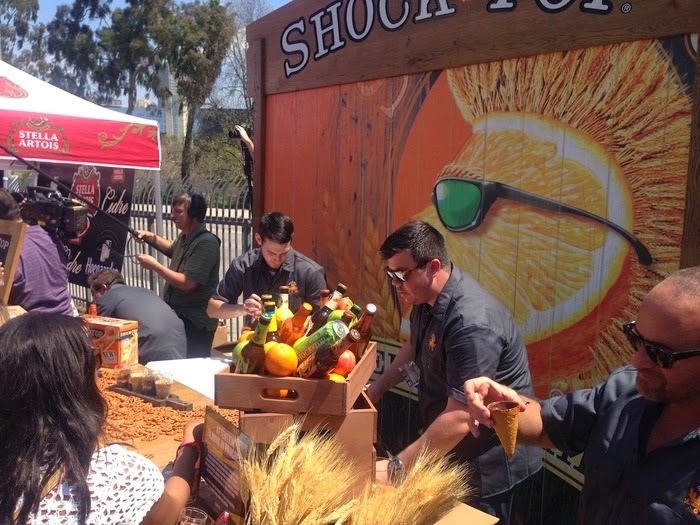 Undaunted, Shock Top keeps reaching out to introduce their beers to the craft beer drinking public. They’re embarking on a tour to attend over 400 beer festivals this year and at many of them will be pouring Twisted Pretzel Wheat, which is not available in stores. 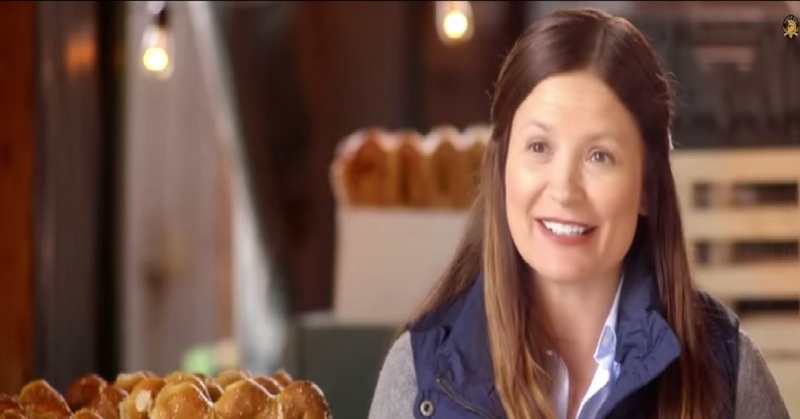 As part of this promotion, Shock Top approached me with an opportunity to interview Jill Vaughn about Twisted Pretzel Wheat and her other beers and I took this opportunity to do so. If Shock Top is part of the evil empire, then Jill Vaughn makes for a terrible Darth Vader. I found her to be engaging, passionate about brewing, with an infectious enthusiasm for creating new beers. It turns out Jill and I went to school together for three years. She graduated from The Ohio State University in 1992 with a degree in Food Science, three years after I started graduate school at another department in 1989. And yes, I’ve enjoyed a couple of her Shock Top Belgian Wheat’s last fall watching Ohio State football games with friends. Let’s find out more about the driving brewing force of Shock Top. The Lemon Shandy makes sense for Shock Top. People who know a lot about beer are probably familiar with the concept of beer shandy which is beer mixed with a soft drink, often lemonade , but most people don’t. So we put our own twist of the traditional Shandy. I'm sorry, but she should be fired (or whoever allowed it to actually go into production) for the Honey Bourbon Cask Wheat, it is literally the second worst beer I have ever tasted. The first was a homebrewed “spruce” flavored beer with overwhelming “spruce” flavor. The Honey Bourbon Cask Wheat tastes like Budweiser mixed with cough syrup…really, really terrible.